This companion training manual to Real-Life Discipleship provides unique guidance and insight to pastors, church leaders, and their disciples as they work to create an effective discipleship program. With a thorough, results-oriented process that can be applied in other contexts and cultures, this manual explains the necessary components of disciple-making so that every church member can play a part in reaching others for Christ. A great leader's resource, it shows you how to cultivate new leaders for the future and equip them to make disciples. 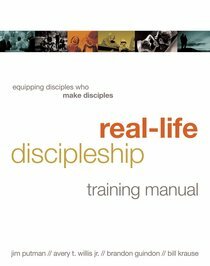 About "Real-Life Discipleship Training Manual"